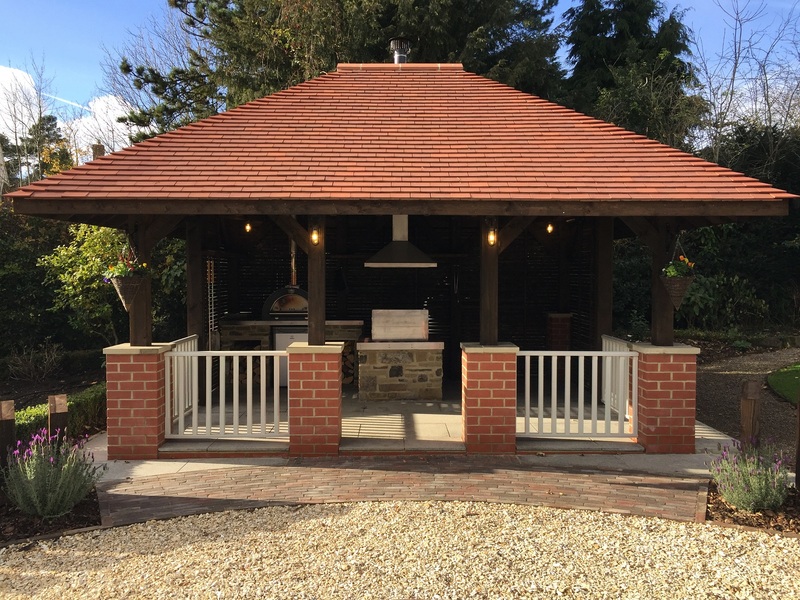 A spacious and private large garden with bespoke cooking pavilion. 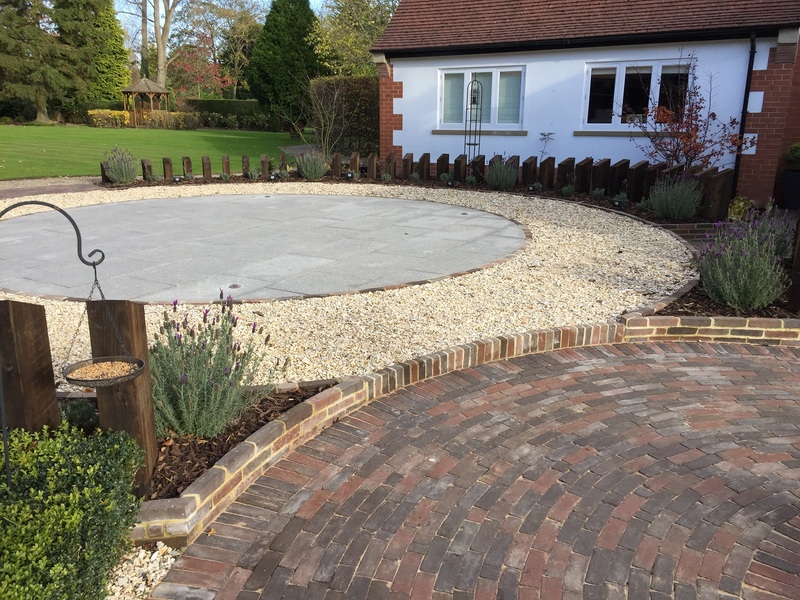 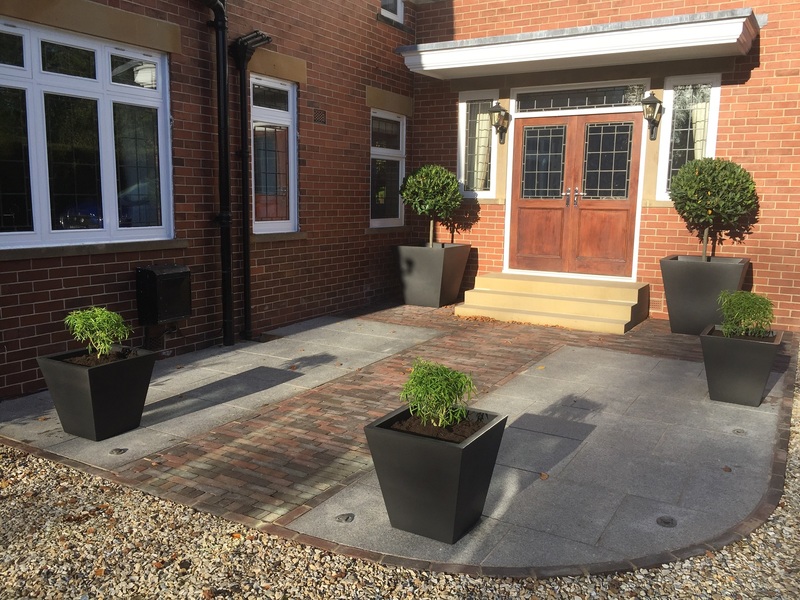 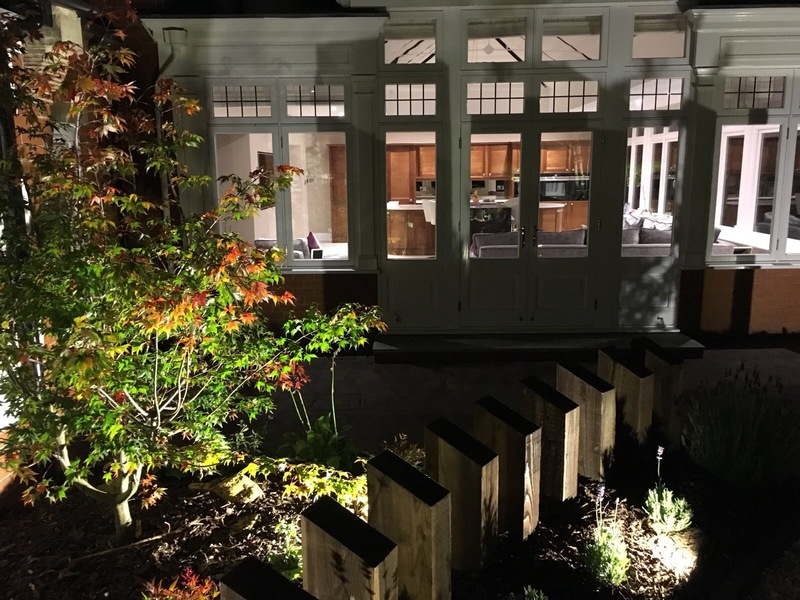 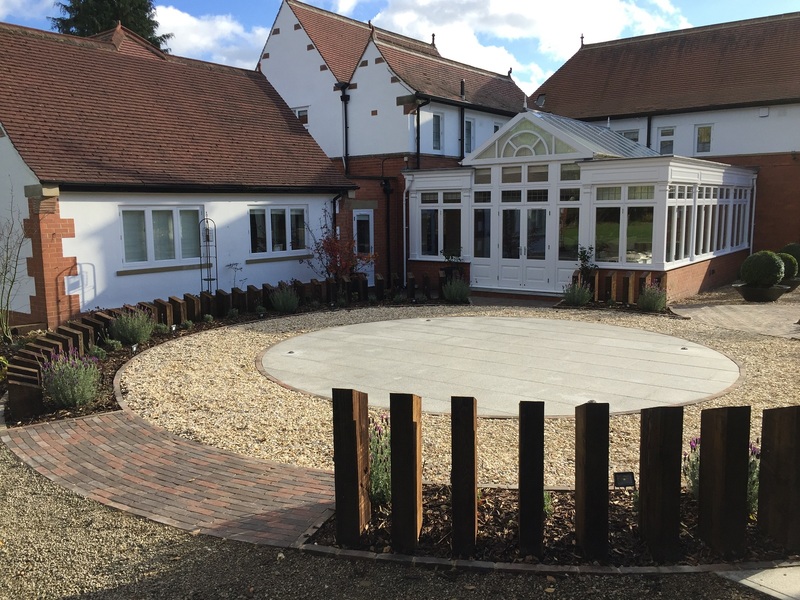 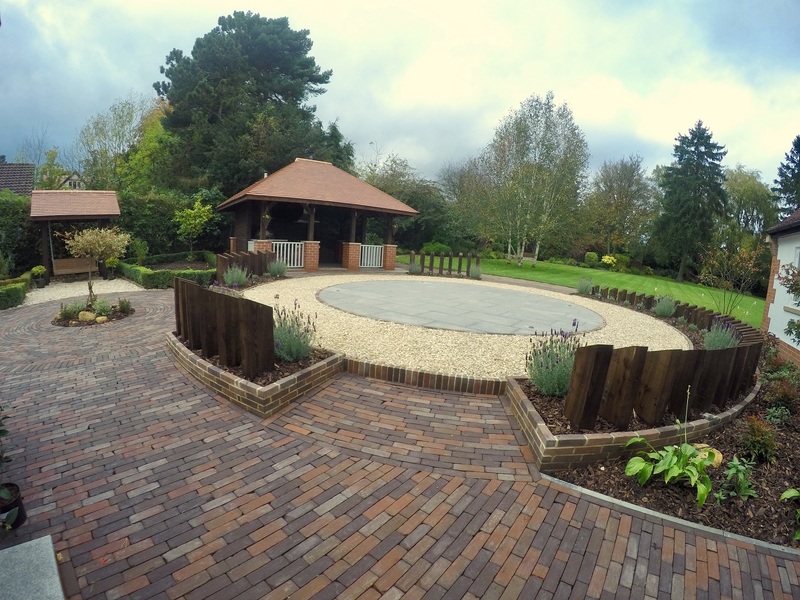 Featuring a grand new entrance, a sculptural sleeper wall, large circular granite patio, Dutch clay paving blocks, swing chair, veggie plot, formal planting beds, and a phenomenal lighting scheme. 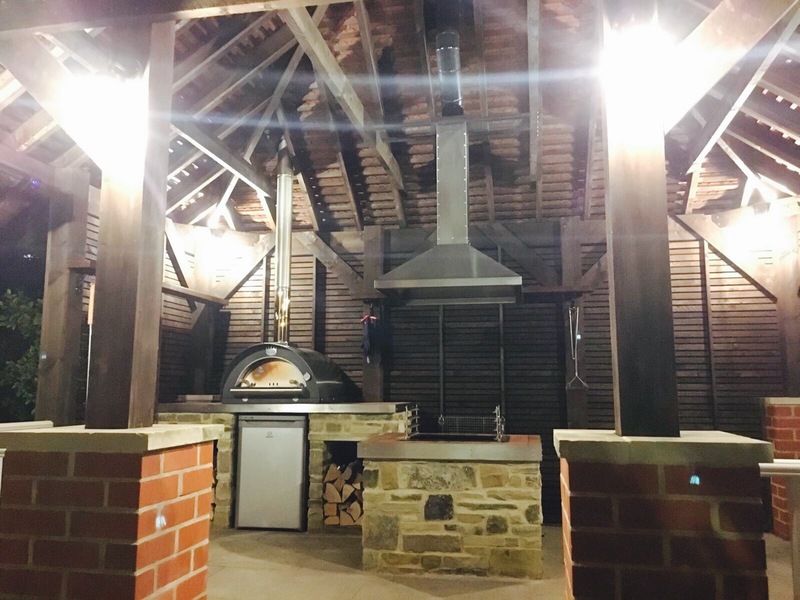 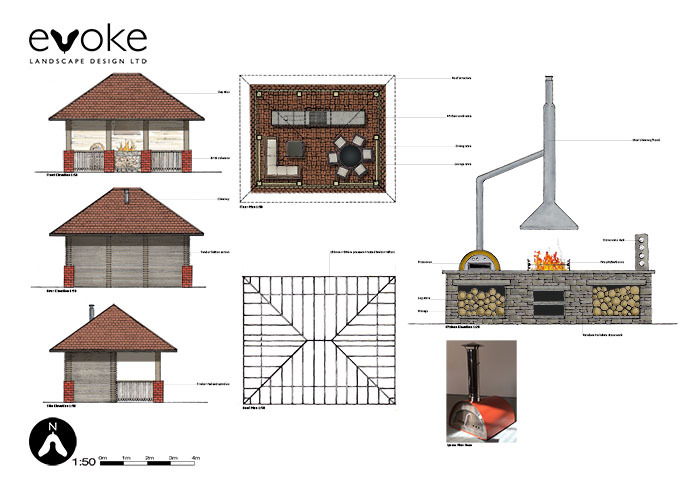 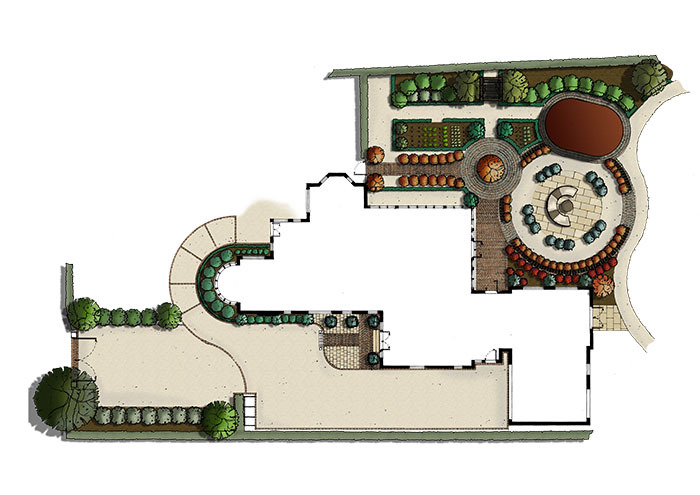 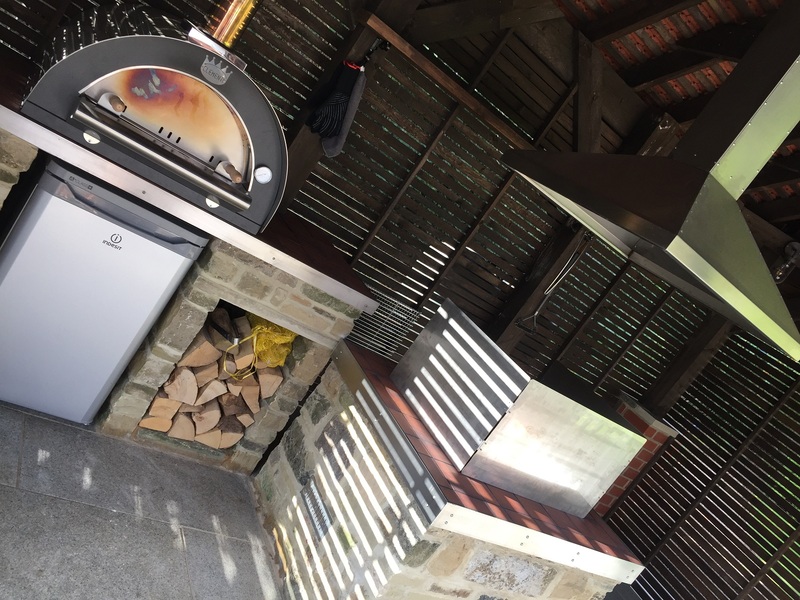 The cooking pavilion housed a wood burning pizza oven, custom made BBQ / fire pit with top of the range Bluetooth patio heaters. 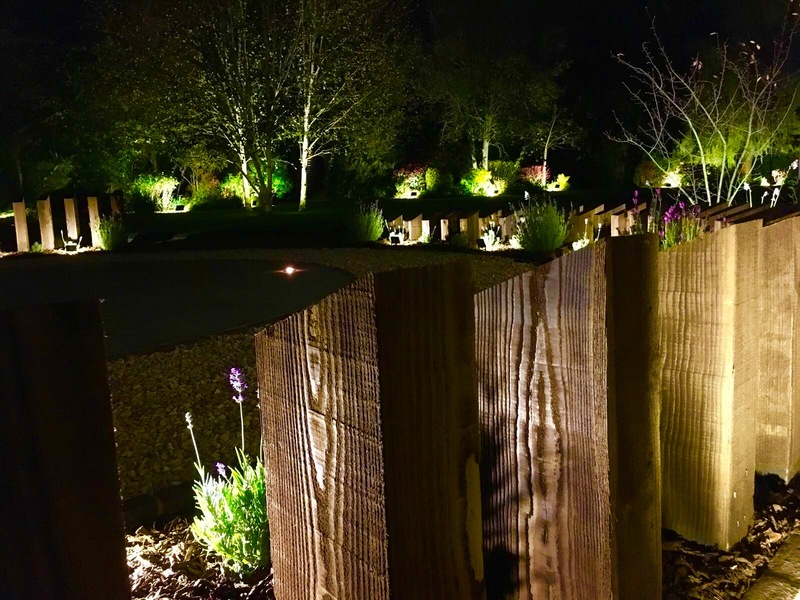 A sympathetic and cohesive design settled the build instantly into the grounds of the property.